Located in the Melbourne showroom this great boat can get you on the water at a great budget. Powered by a 70 HP Yamaha. Accessories include Bimini Top,cushion package, trolling plug, rod holder, upgraded hull color an more. Give us a call and this boat can be yours. Easy to tow and easy on the wallet! Weight 975, Beam 82, GVW 23, Length 15'10". Falmouth Yacht Sales would love to guide you through a personal showing of this 15' Bimini 166 CC 2017. 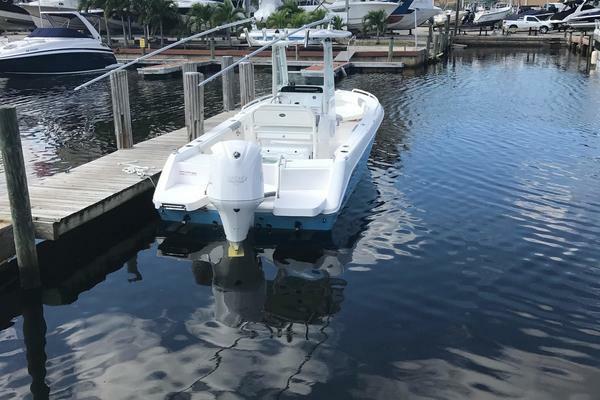 This yacht for sale is located in Fort Pierce, Florida and priced at $15,990. For a showing please contact us by filling out the form on this page and we will get back to you shortly!